IN MARCH 2016, A LEGEND OF FOOTBALL, JOHAN CRUYFF, DIED. In many ways this article writes itself as paying the tribute to a legend of Cruyff’s stature is difficult to put into words, because Cruyff’s impact in the game will continue to live on forever. For those lucky enough to watch him play in-person, in his prime, words will not do him justice. However, you do have something magical that Johan Cruyff imprinted on your memories and hopefully you will relive those times and share them with those who never saw the Dutchman play in the flesh. 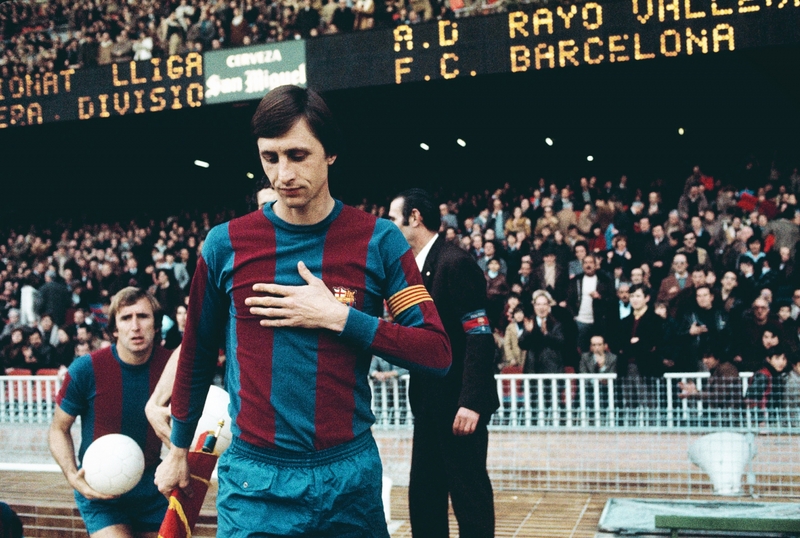 For many others, however, Cruyff the player exists in the purely ephemeral. Short, grainy video clips of him laying waste to defenders and scoring magnificent goals play on loop – taking us there – to that place where only the best footballers exist above it all. Their skill is timeless. Put them on the pitch today, they would still be the star. Their identities forged in the irons of the game’s past. As unconventional as that may seem on the surface, that place is where a figure like Cruyff pulls the strings on a marionette-midfield and then creates a move, performs a feint, or strikes a ball with unrivalled skill. It happens in the blink of an eye time on the field, but for everyone else time slows down to a sedative crawl. Take a moment to look beyond Johan Cruyff, the witty orator proffering quote after quote of genius one-liners that truly make the brain work, and ask yourself when it was that you first saw Johan Cruyff. A player’s and coach’s acid test of greatness lies partly in performance and influence of the game over the span of a career, and partly in their influence on the game and its followers. What did he do to your imagination? How did he change football for you? The odds are great that your answers are the same for millions of others; that was Cruyff. For me as a kid, playing on the outskirts of Enschede, it was apparent that feint Cruyff pulled off in the 1974 World Cup against Swedish defender Jan Olsson might as well have been football’s version of capturing lightning in a bottle. Playing for coaches who themselves learned under the tutelage of Rinus Michels’ vision and Johan Cruyff’s application meant many hours were spent practising that turn. I remember barely understanding what little Dutch I was trying to learn with my host family when my coach, Meneer Louter, in a thick accent with perfect English took pity on me and walked me through the step-by-step process so as to ensure myself and the rest of his players never got away with lazily doing the turn. We learned to appreciate that move above all others because it meant we were looking to pass, shoot, or dribble to create another reality on the pitch. Having the ability to pull a Cruyff turn in live play, for us, proved that we were playing with our heads up, always aware of the game around the pitch, always looking to unlock the opposition who’d fatefully fell for the feint. The lessons the Cruyff turn taught us also proved valuable with regards to knowing the difference of ‘selling the move’ and ‘going through the motions’; that was Cruyff. One of football’s redeeming qualities, if not the most redeeming quality, is that the game’s greats are timeless. Their skills inspire others and their influence impacts the game, carrying it forward for future generations. 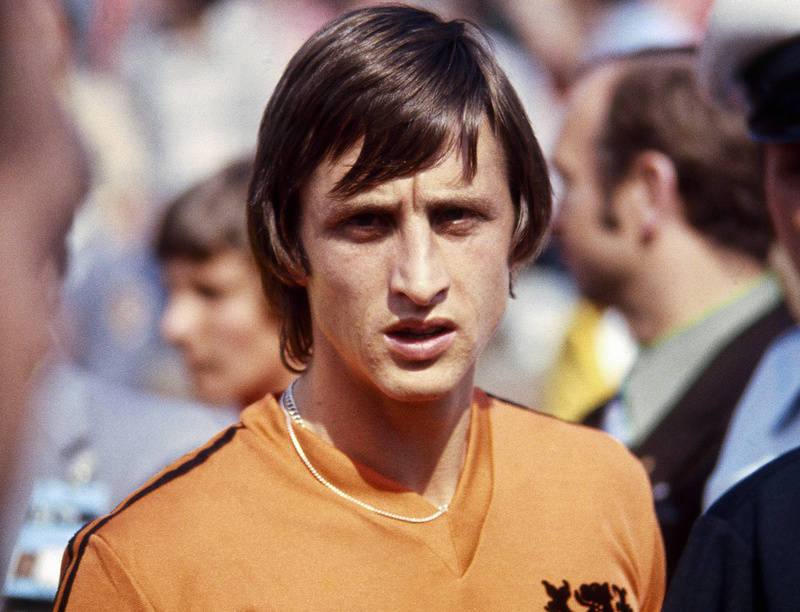 To examine Cruyff’s effect on football is to descend down a rabbit hole of intrigue. How did a skinny, gangly-kneed teenager become the catalyst for Dutch football to rise from the ashes of relative insignificance and propel the country’s footballing identity and ethos is such a way that Dutch football became a brand, style, discipline, and legitimate force in the sport? The answer lies in the analogy of comparing science to engineering through a footballing lens. Science, you see, can be seen as the discipline and act of discovering new anomalies and problems while engineering is the practised application of solving those anomalies. For Cruyff, solving football’s riddles with his feet, coaching wit, and cultural icon status were not enough. The real skill was optimising footballing skill, tactical awareness, and application on a level reserved for the game’s geniuses; that was Cruyff. We can go through the catalogue of footballers that changed the game and categorised them as best defender, most dynamic midfielder or best goalscorer. Somehow Cruyff is elevated above that in the category of footballing genius. Defining genius is difficult enough – trying to define it when genius in the context of Cruyff’s combination of physical skill, intelligence and effectiveness on the pitch takes mental endurance. What many must realise is like many of the game’s greats, Cruyff excelled at that which cannot be coached – creativity, uniqueness, imagination, and competitiveness – all of which are only as good as one’s ability to apply them at will against any opposition. Johan Cruyff’s influence as a coach is as dynamic as his ability as a player for he mastered the arenas of the game and the mind that extend well beyond mere direct instruction. It’s fitting that a man who exuded all the talents that cannot be coached became such an influential coach himself. That element is best attributed to Rinus Michels, who understood Cruyff’s deployment of skill and savvy intelligence was not to be coached or limited, but to be harnessed and unleashed in a system built with Cruyff as the orchestrator of a footballing philharmonic that has been attributed to the success of the great Ajax and Netherlands sides and of course, Barcelona’s steady and continued rise to global footballing acclaim. He also was a journeyman of sorts, never shying away from the next great adventure in his sport. In so many ways, Cruyff proved that football is just as much a game of technique as it is physique. Moreover, he showed that truly great football is about intelligence and application by setting the world alight with a lethal left foot, but he could have just as easily turned a defender with his right foot. The embodiment of a fluid footballer, Cruyff’s best years at Ajax and FC Barcelona and even his years playing abroad in the United States, back in Spain, and finally back in the Netherlands, paved the way for a new breed of footballer – one that is willing to interchange positions, drop deep to confuse a marker, isolate a defender on the wing, occupy space only to unlock a back line with a single, timed pass. The things we expect of footballers today is largely because a man born in the shadow of Ajax’s stadium, obsessed with excellence and application, a ‘Pythagoras in boots’ solving footballing algorithms of time, speed, and distance while never compromising speed of play; that was Cruyff. Football is called the beautiful game and Johan Cruyff made it just that much more beautiful. A bold man with bold views of the game, Cruyff now takes his place among football’s greats, no doubt playing jumpers for goalposts in football’s Valhalla. For me and countless others, the saddest thing about Cruyff’s passing is not the act of dying – for we all face that reality in our own time and in our own way. The saddest thing is not death itself, but the fact there will never be another Johan Cruyff.